15/11/14. Alqosh, Iraq. 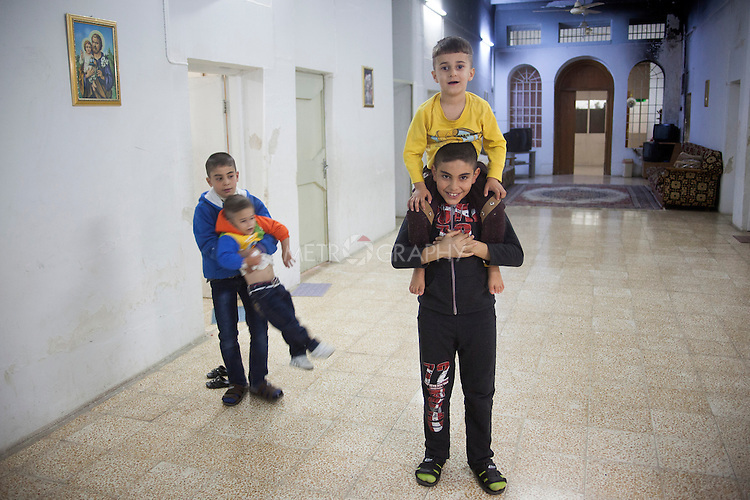 Wassan (right bottom) and Milad (left) play with brothers Christian (second left) and Kevin (top) in a corridor at the Alqosh Orphanage.